Masks and Ampoules are very important components of anti aging skin care. Because of the high active ingredient content you quickly achieve the best results. A regular application constantly improves the skin texture and can counteract the premature skin aging.The skin is supplied with energy, fine lines and wrinkles are diminished and the overall skin structure and elasticity are improved. I always apply ampoules before I begin with a facial massage because through the massaging the ingredients will penetrate deeply and achieve the best anti aging effect. So let me give you a deeper insight on some of my most effective,favorite active ingredients. I love to work with these very effective substances. 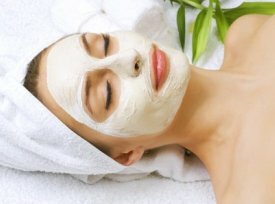 The facial mask is incredibly strengthening for the skin, and it removes dirt and dead skin cells. Moisturisers and valuable oils refill the skin's nutrient reservoirs and pamper demanding skin. So if you look tired and stressed get a good mask, relax yourself and you'llbe surprised at the positive effect. I personally love to use masks with liposomes because the skin is intensively moisturised and the moisture content in the skin is increasing. My beauty secret...They are amazingly effective in wrinkle cream. If your skintype is rather oily and tends to get impurities and blackheads you cannot do without a clearifying face mask. I recommend this at least once a week! Calming and cleaning ingredients will help to normalize and purify your skin.Doing this on a regular basis results in less spots and inflammation. So you see ampoules and facial masks intensify your beauty care and let you look at your best. But what else can we do to slow down the aging process? We can live a healthy lifestyle and benefit from vitality and a youthful look. In combination with effective skin care this is the perfect prevention of premature aging. 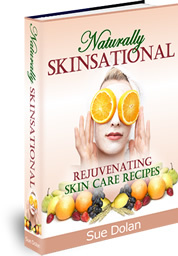 Learn some great all natural tips and tricks to reverse aging. Turn back the clock and fight aging inside and out.